So these tubes are direct replacement ones? 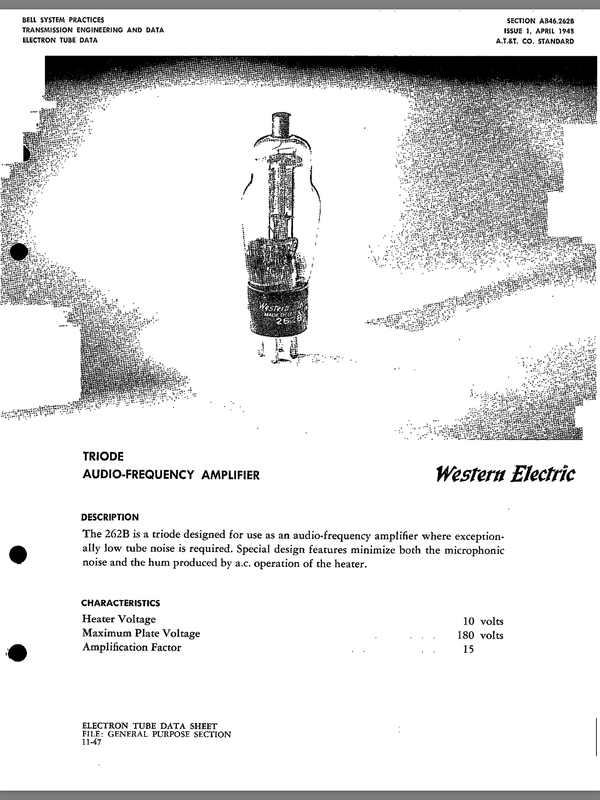 Well the 262a could be replaced by the 262b that appeared some 10 years after the 262a for the line of push pull 300b amplifiers western electric 86, 92… A large proportion of these amplifiers host the 262b that can be found for kind of okay budget (western electric terms). 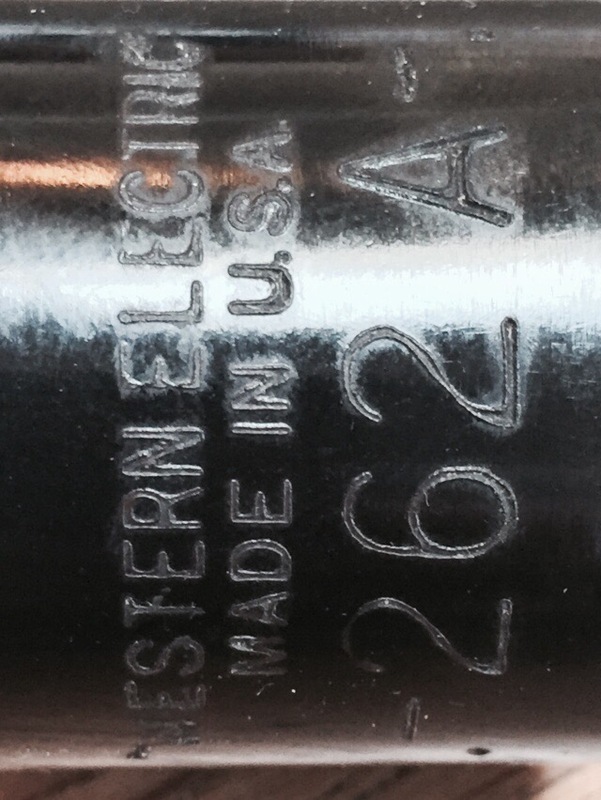 And swell is the 262b to drive we300b stage obviously DC powered from the all time great mystery tube the we274a. Only thing? Never ever put a 262a in one of those amplifiers…there is no going back. The mids, the highs, the upper bass, the…depth etc….just take on a whole new dimension. Not that running we86 amps with 262b is worthless….no as it’s already something very special. It’s just that little extra thing that once you hear it gets you hooked. Yes I am hooked! Now they are the same on the paper….hummmm…..when you turn the we86 with the 262b the amp will play after a few seconds. Fine…yet when I 1st placed the 262a in One of my we86 amps….no sound at all….dead tube.?? ?..ouchhhhhh…..given the budget! Then from the far distance after maybe 20/30 seconds you hear the sound build up like its marching towards you from the depths of the western electic 13a horns. Up it builds getting stronger and stronger to then settles to the sound….nice sound! Now when you switch of with the 262b it goes off…! Great ! When you switch off with the 262a it carries on playing and slowly the sound crawls back into the we13a horns. I think this is ultra cool and kind of alive! So in reality it’s not the same tube. We262a’s fetch serious money these days. Are they worth it? Yes they are. You just need the amplifier to use one. 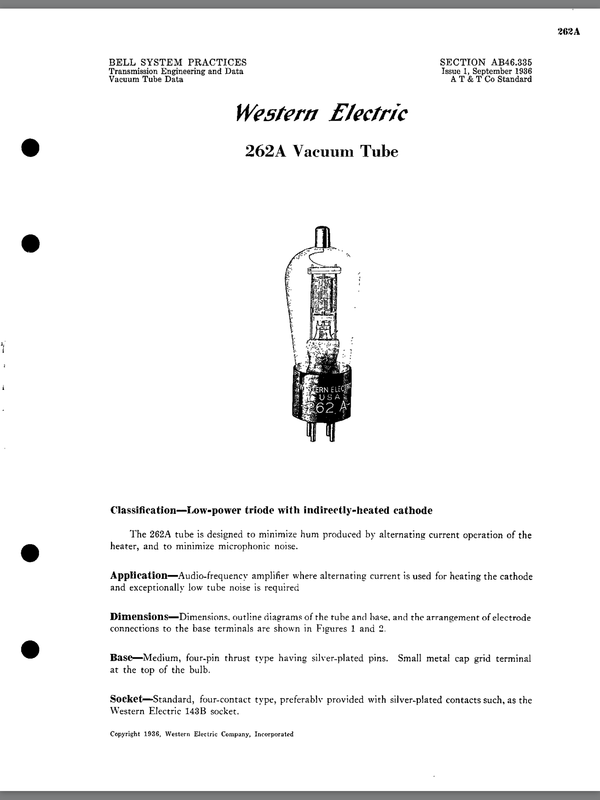 ‹ PreviousMen who listen part 3 "man caves"
Is a 27 (227 or 327), though it has a 2.5 volt filament, a non western relative? Looks similar but without an anode cap. Mark, it’s close I guess. 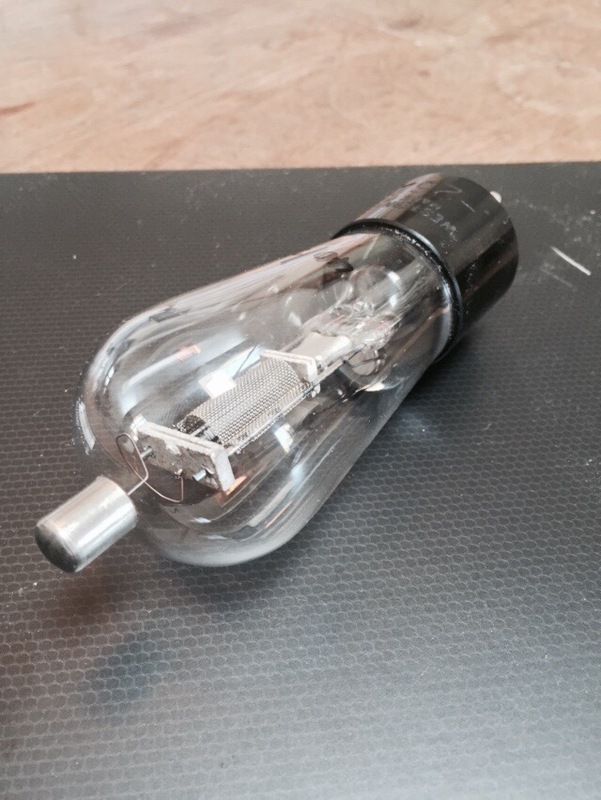 Just needs to be tried…..the plate voltage is lower. Can be nice!